If you are food traveler, you must have known about the specialty of Indonesia. This country is home to various spices and herbs which can make dishes taste much better. That is why Indonesia is a heaven for foodies. Every region in Indonesia has its own special delicacies which make Indonesia food more diverse. Food travelling is fun since you can learn more about the culture through their authentic recipes. When you travel to Indonesia, make sure to try different foods from different region before you regret it. Besides, there are many Indonesia dishes included into the world’s best dishes. Rendang is included into one of the world’s most delicious dishes. This is quite similar with curry. However, it is served with broth. This dish is made of beef then slowly cooked in coconut milk along with other spices for hours. This dish is originally from Padang region, West Sumatra. Rendang is best served with steamed rice and fried onions. 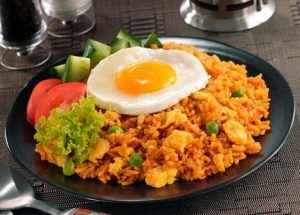 Nasi Goreng is one of the most popular dishes from Indonesia. Lots of people from foreign countries have acknowledged this dish as one of the best such as Korean artists, international politicians, etc. This is fried rice made in unique way using Indonesian spices and recipe. It is made of steamed rice, mixed with soy sauce, chili, garlic, tomato sauce and various ingredients such as shrimp, vegetables, and even protein like chicken, beef, or eggs. Bakso is similar to meat balls. This is more popular as street food in Indonesia but you can find it almost everywhere from street booth to high-end restaurant. This is dish made of minced beef or other proteins. It is served with vegetables fried onion and chili in savory soup. Most Indonesian like bakso to be served with noodles or rice noodles. 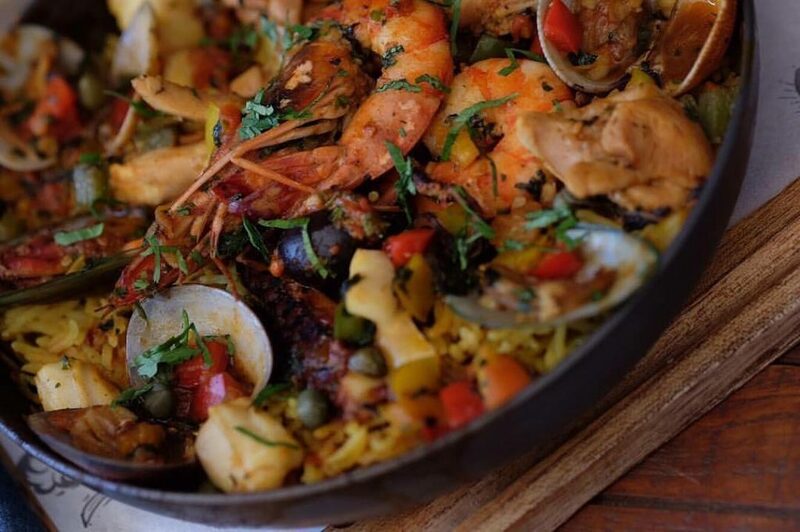 Even former President Obama liked this dish. Kerak Telor is one of the most iconic dishes from Indonesia. You can find this dish specifically in Jakarta, Indonesia’s capital since it belongs to an ethnic group to Jakarta called Betawi. This dish is made of sticky rice and egg and served with toppings such as fried shallots, shredded coconut, and fried onion. The way to cook this dish is unique since it uses charcoal. Gudeg is also one of the most popular dishes from Indonesia and belongs to Javanese ethnic in Yogyakarta. The cooking process requires patience. However, the taste is so worth it. It is made of jackfruit meet boiled in coconut milk, spices, and palm sugar for hours. It is sometimes served with steamed rice along with beef or boiled eggs. The taste is dominant in sweet.